WITH desertification spreading along the Andalucian coastline and rainfall levels lower than ever, a drive for sustainability has never been more important. Yet the Spanish government has decided that it wants to penalise anyone aiming for self sufficiency through photovoltaic energy. 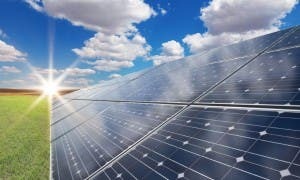 The fact that environmentally-minded people around Spain are put off from installing solar panels due to crazy and conflicting laws and the threat of big fines is madness. In a country, which sees around 300 days of sun a year! It is time that the government listened to the calls of 60,000 people, who have signed a petition, not to mention all the other political parties, and scrapped its crazy new solar panel law. If not, it makes a mockery of Spain’s apparent drive to cut carbon emissions in the next decade. Iona: What Government? There isn’t one, Just grubby grabbers, hanging around like a bad smell, taking what they can, while they still can. Total insanity! Didn’t Spain participate and SIGNED in Paris at the UN Climate Change Conference to lower CO2 levels? It was just a bunch of hand shaking and congratulating, no real action. If anything all I see here is corrupt interest and full disregard against the environment. Bring on the drought and floods! Maybe they will listen then. 60K people’s signature is not enough. Maybe 600K will do. And we need more than a petition – we need people on the street marching and bringing everyday life to a halt until important problems like this gets steered in the right direction! How many of your marchers would give up their diesel transport, bunker-oil fueled delivery ships and cheap flights? To name just three of the problems facing us.